CHRISTCHURCH, New Zealand, December 10, 2014 (ENS) – Polluting chemicals found in personal care products such as cosmetics, soaps and sunscreens has been discovered in waters off Antarctica at the same levels as many urban areas, according to new research from New Zealand. A University of Canterbury research project has found the chemicals are present in sewage effluents discharged from Antarctic research bases. “Emerging organic contaminants are contaminants that are not routinely monitored for in the environment and have the potential to have adverse ecological or human health effects,” said Dr. Gaw. Active ingredients in personal care products are a class of emerging organic contaminants, or EOCs, increasingly being studied. “These emerging contaminants were also found in Antarctic coastal waters at concentrations comparable to more urban areas elsewhere in the world, including New Zealand, Emnet said. “What was interesting was how widespread some of the EOCs were in the Antarctic coastal waters. We found contaminants along larger coastal areas than we expected,” he said. 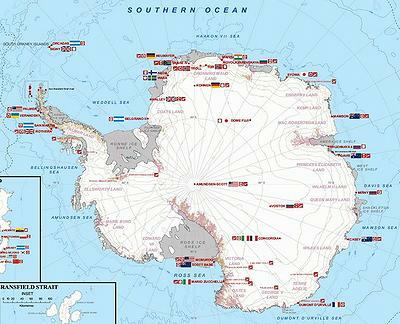 Thirty countries, all signatories to the Antarctic Treaty, operate seasonal and year-round research stations on the continent. The number of people performing and supporting scientific research on the continent and nearby islands varies from about 4,000 during the Antarctic summer season to 1,000 during winter. In addition to these permanent stations, approximately 30 field camps are established each summer to support specific research projects. Emnet suggests that the environmental conditions, including extreme cold, could have contributed to the persistence of some of the chemicals from their personal care products in seawater. “Sewage discharges may therefore be having greater impacts over a much wider area in marine environments than previously thought,” he said. The presence of these contaminants in surface waters is of international concern as many of these everyday chemicals are designed to be biologically active and may have adverse effects on marine organisms. The study was funded by Antarctica New Zealand, an institute set up by the New Zealand Government in 1996 to manage its interests in Antarctica and the Ross Sea. 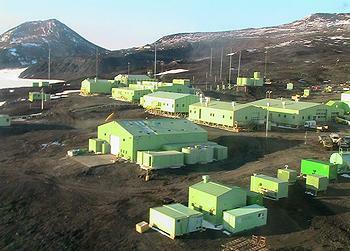 As well as providing logistics support to the New Zealand scientific program, it runs research bases such as Scott Base. Antarctica New Zealand’s Dr. Neil Gilbert said the aim as a responsible national Antarctic program is to use the best available research knowledge to help improve environmental management practices.